Tiffany Williamson is the Chief Operating Officer of Better Homes & Gardens Go Realty. Tiffany joined the Go Realty team in March 2014 as a real estate agent and it was quickly realized that Go Realty would benefit from past experience as VP of Sales for a national cosmetic brand. In refusing to accept the industry stats on the failure rate of new agents, Tiffany designed Ready. Set. Go!, a new agent training program designed to get agents into production within their first 90 days in the business. This program has been wildly successful at Go with over 90% of new agents achieving a sale in their first 90 days and 50% getting more than one! 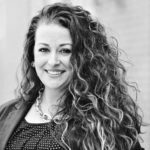 Tiffany currently serves on the board of the Young Professionals Network at the Raleigh Regional Association of Realtors, as well as the Women’s Council of Realtors, and the Realtor Foundation of Wake County.